Conway: Omarosa Has Undercut Her Credibility [VIDEO] - Joe.My.God. 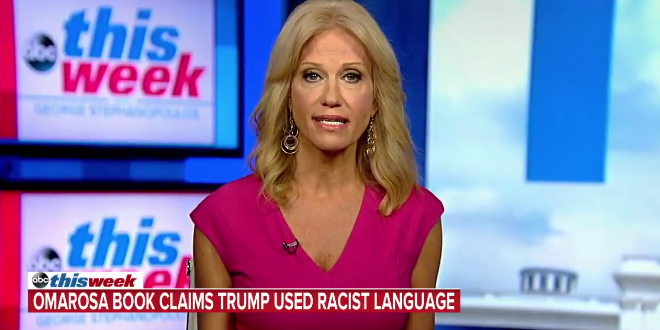 White House counselor Kellyanne Conway pushed back on Sunday against claims from former White House aide Omarosa Manigault Newman that President Trump is a racist, attacking Newman’s credibility. “The first time I ever heard Omarosa suggest those awful things about this president are in this book,” Conway said, referencing Newman’s upcoming memoir that depicts Trump as a narcissist and a racist.